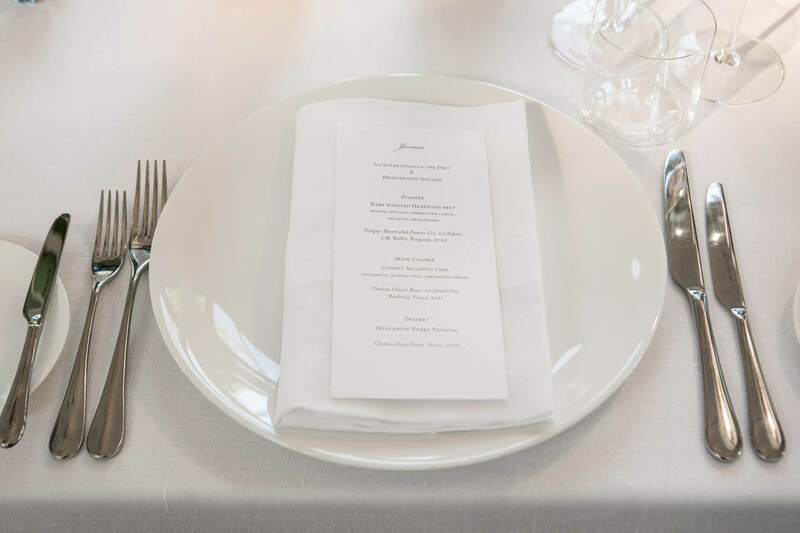 When designing a small private dinner, the finer details are crucial. 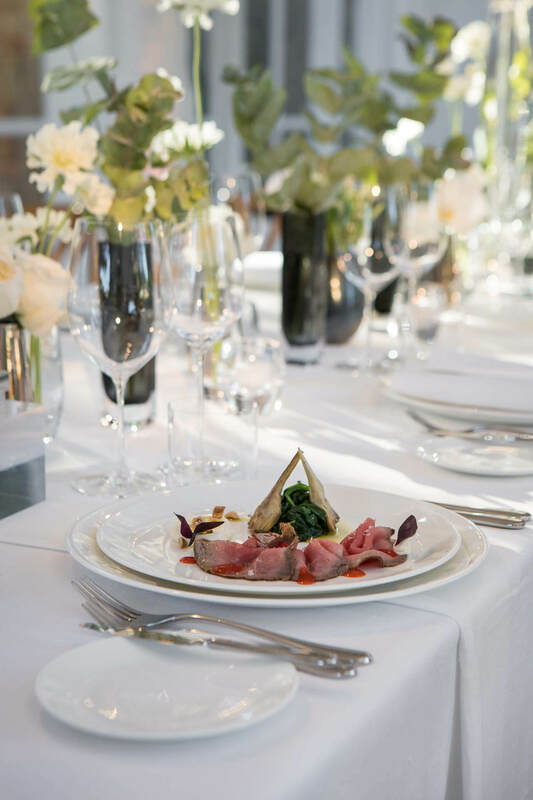 Taking luxury fine dining to the next level, from restaurant to home is what we do best so being set this challenge of having some of the top restauranteurs in one room we, and the client, were delighted by the end result! 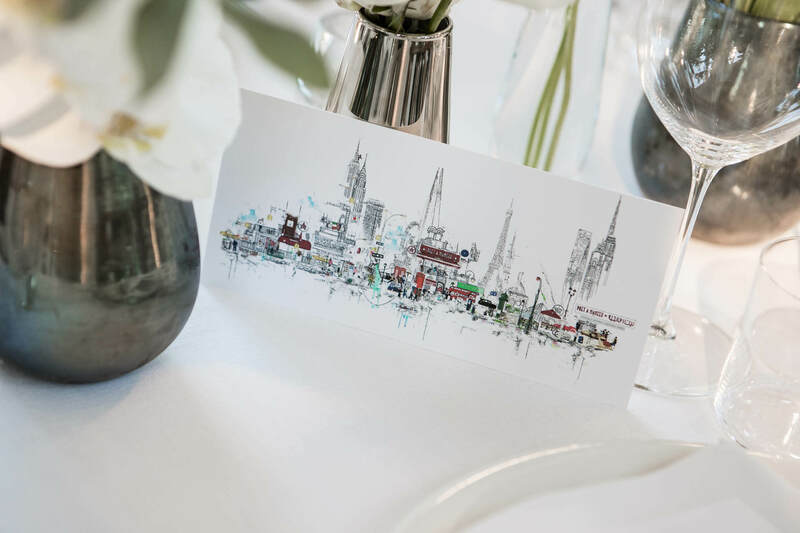 This specific client wanted a 5 star restaurant experience, like being at Spring restaurant or the River café whilst keeping it very exclusive and very private. So where to start…. A private dinning room wouldn’t cut it, and with only 18 VIP guests it had to be a small boutique venue, in the heart of London! To enhance the look and feel, wooden bistro chairs were used alongside pewter and smokey back flower pots. 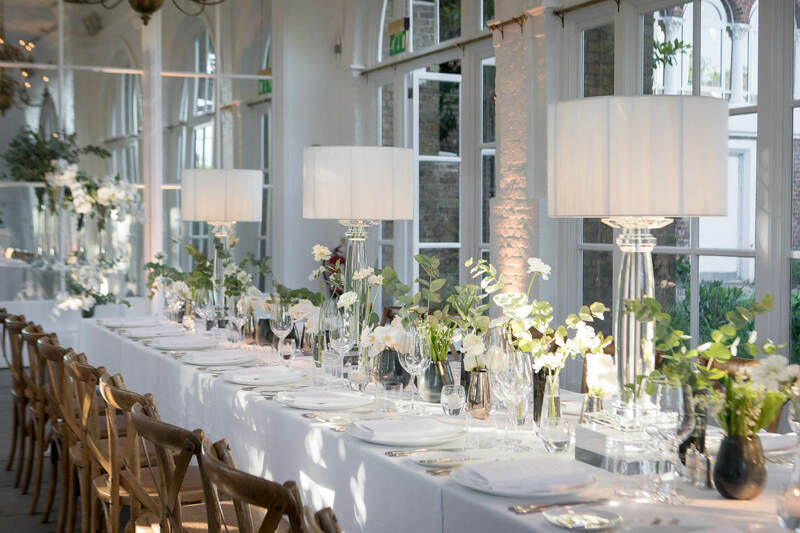 A textured floral arrangement was positioned down the centre of the table and this was all highlighted by a crisp white linen. 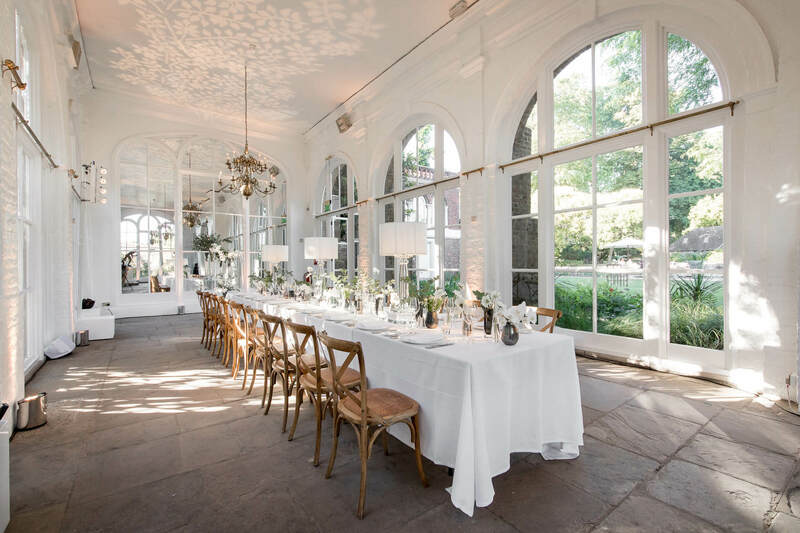 The tables-cape was elevated by cordless glass lamps with stunning wide ivory shades. The glass reflected in the mirror at the back of the Orangery creating a stunning glistening effect. 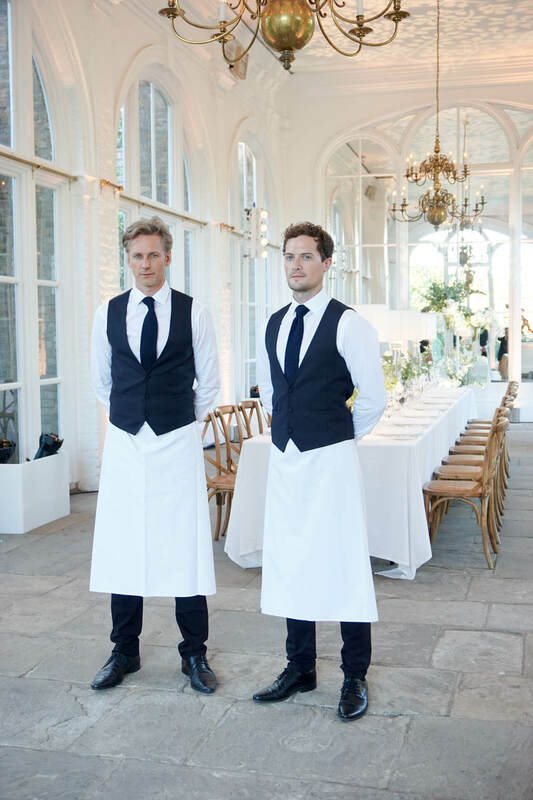 Contrasting the stunning white tables-cape, the catering was bold, beautiful and creatively pieced together. Also, the bar, serving stylish cocktails, was decorated with fresh fruit, mint and elegant bunches of flowers in clear glass vases.